Vroom… Vroom! 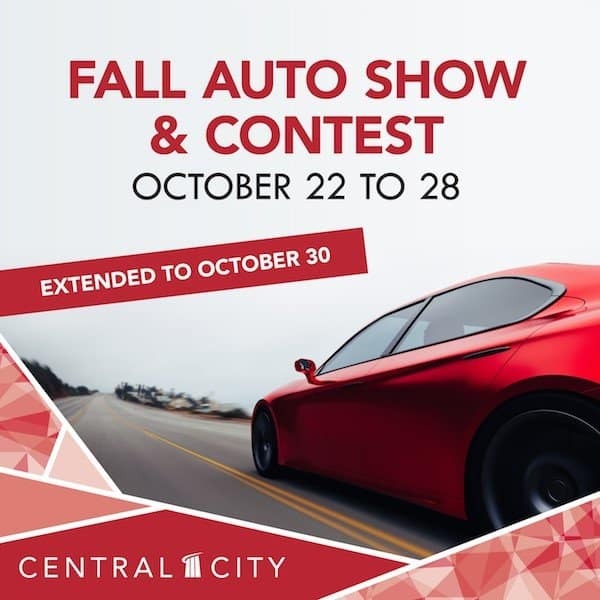 Visit Central City’s Fall Auto Show from October 22 to 30 to view the latest vehicles from local dealerships showcased centre-wide. Plus, enter in-centre and/or online here from October 22 to 30, 2018 for a chance to win one of three GPS devices (value $300+ each) for your vehicle!